The Federal Communications Commission (FCC) was created in 1934 with jurisdiction over radio, interstate telephone communication, and later television. But the FCC has always struggled with a fundamental lack of clarity about its proper functions. In its mission to serve the public interest, should the FCC crack down on indecency on the airwaves? Should it use its power to rescind the licenses of wayward stations? Local Radio Ownership Rule, National TV Ownership Rule enacted. A broadcaster cannot own television stations that reach more than 35% of the nation's homes. Dual Television Network Rule enacted, prohibiting a major network from buying another major network. Local TV Multiple Ownership Rule enacted, prohibiting a broadcaster from owning more than one television station in the same market, unless there are at least eight stations in the market. Reagan Administration deregulation under the leadership of FCC Chairman Mark Fowler. Deregulatory moves, some made by Congress, others by the FCC included extending television licenses to five years from three in 1981. The number of television stations any single entity could own grew from seven in 1981 to 12 in 1985. Guidelines for minimal amounts of non-entertainment programming are abolished. FCC guidelines on how much advertising can be carried per hour are eliminated. "Fairness Doctrine" eliminated. At its founding the FCC viewed the stations to which it granted licenses as "public trustee" — and required that they made every reasonable attempt to cover contrasting points of views. President Clinton signs the Telecommunications Act of 1996. It is generally regarded as the most important legislation regulating media ownership in over a decade. The radio industry experiences unprecedented consolidation after the 40-station ownership cap is lifted. Does Clinton regret the Media Merger Mania he unleashed? 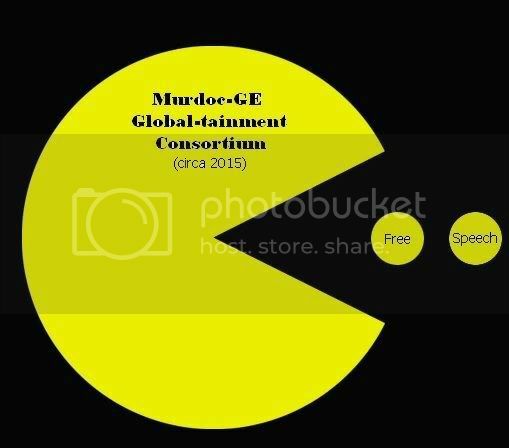 * Lifted the limit on how many radio stations one company could own. The cap had been set at 40 stations. It made possible the creation of radio giants like Clear Channel, with more than 1,200 stations, and led to a substantial drop in the number of minority station owners, homogenization of play lists, and less local news. * Lifted from 12 the number of local TV stations any one corporation could own, and expanded the limit on audience reach. One company had been allowed to own stations that reached up to a quarter of U.S. TV households. The Act raised that national cap to 35 percent. 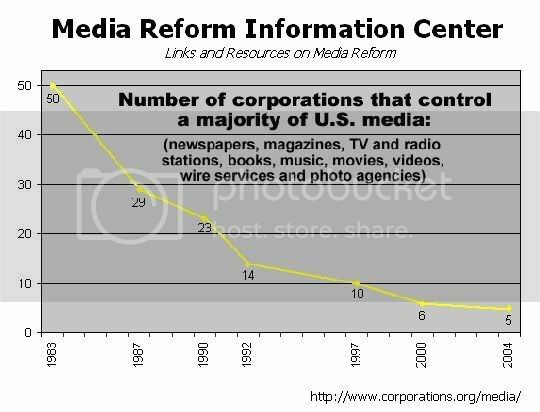 These changes spurred huge media mergers and greatly increased media concentration. Together, just five companies – Viacom, the parent of CBS, Disney, owner of ABC, News Corp, NBC and AOL, owner of Time Warner, now control 75 percent of all prime-time viewing. * The Act gave broadcasters, for free, valuable digital TV licenses that could have brought in up to $70 billion to the federal treasury if they had been auctioned off. Broadcasters, who claimed they deserved these free licenses because they serve the public, have largely ignored their public interest obligations, failing to provide substantive local news and public affairs reporting and coverage of congressional, local and state elections. * The Act reduced broadcasters’ accountability to the public by extending the term of a broadcast license from five to eight years, and made it more difficult for citizens to challenge those license renewals. 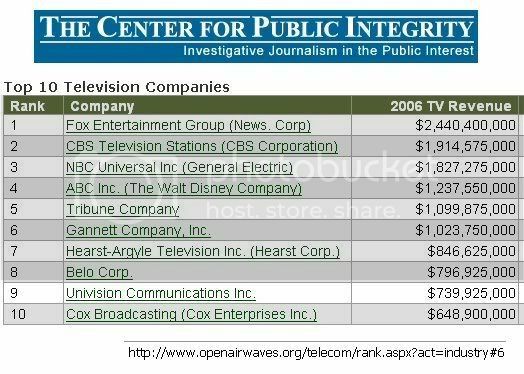 "It’s time for all Democrats, including those running for president, to stand up and speak out against this [News Corp./Dow Jones] merger and other forms of media consolidation." So far, Edwards is the only candidate to address this issue, and he deserves enormous credit for exhibiting such courage. The media is a potentially devastating enemy - just ask Howard Dean. However, Hillary Clinton has the greatest moral obligation to take a stand given what her husband saddled us with. And Edwards has paid the Price for telling the Truth to the American People! 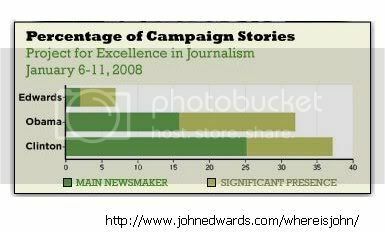 Survey USA Drops Edwards Based on "Judgment"
What is Edwards saying that they find so disturbing? Chapel Hill, North Carolina – Today, Senator John Edwards spoke out strongly against media consolidation which threatens the health of our democracy, by calling on Democrats to openly oppose and take the necessary steps to stop the merger between News Corp and the Dow Jones Company/The Wall Street Journal. Edwards called on Democrats to oppose the merger in light of the biased and unfair manner Fox News, and other media arms of News Corp, cover Democrats and the Democratic Party. "Democracy is under attack," Gore told an audience at the Edinburgh International Television Festival. "Democracy as a system for self-governance is facing more serious challenges now than it has faced for a long time. "Democracy is a conversation, and the most important role of the media is to facilitate that conversation of democracy. Now the conversation is more controlled, it is more centralized." In the United States "the only thing that matters in American politics now is having enough money to put 30-second commercials on the air often enough to convince the voters to elect you or re-elect you," he said. "The person who has the most money to run the most ads usually wins." Where do the other Candidates stand on the FCC, Media Consolidation, and the Fairness Doctrine? It would be nice to know! 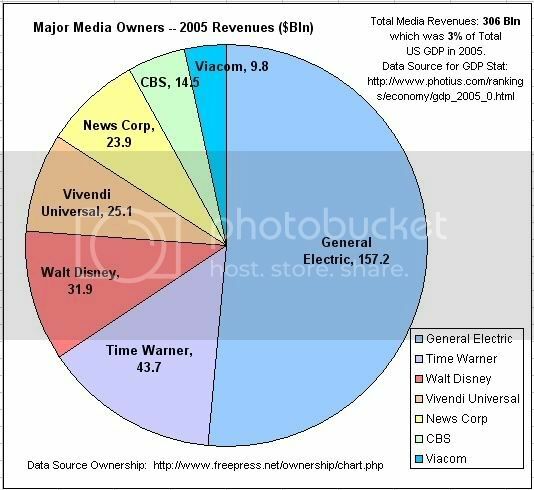 "One of the things we have a problem with in America is the conglomeration and consolidation of the Media. We need to make sure that diverse voices are being heard, and we don't have that kind of consolidation because that's a big part of the problem." we'll end up with the "Titanic Two"
underwritten and enabled by "Business as Usual" politicians, SPONSORS! and thanks for the history lesson on who was responsible for turning the Fourth Estate into a garage sale. If we want media of diversity and integrity, we have to create them ourselves. Fortunately, today, we have the means for doing so. Unless we sit by and let the government take those means away. Support Net Neutrality. Stop the corporations! Thanks for putting this out there. Makes you wonder if we can ever fix the mess.